Each month, the editors of The American Journal of Human Genetics interview an author of a recently published paper. This month we check in with Elizabeth Wright to discuss her paper ‘Practical and ethical considerations of using the results of personalized DNA ancestry tests with middle-school-aged learners’. Elizabeth: I could give you a long answer about being a former middle school science teacher and what drove me to get a PhD in Science Education, but simply put, I am committed to finding ways for each and every student to see themselves connected to science and each other, and supporting teachers in that work. Elizabeth: I am equally thrilled and cautious about having adolescents use their own personal DNA to explore who they are genetically, genealogically/socioculturally, and intentionally. We are not all of one thing and none of another. We can use what we know about pieces of ourselves to imagine something new and amazing. We can reveal these pieces of ourselves to our families and friends and see how we are connected to each other and the grander tree of life. Elizabeth: In the previous question I mentioned a bit about what thrills me. I am cautious because the privacy issues surrounding over-the-counter, direct-to-consumer DNA testing are monumental, and ever-shifting. It is both exciting and nerve-wrecking to ask, and watch, young scholars to embark on this intellectual journey. The engagement and electricity in the classroom when young scientists encounter themselves in new and unique ways keeps me going. Elizabeth: I think the most important thing I would say is: you belong here. You belong in science. Your voice, your experiences, your viewpoint are all incredibly important. If you feel left out or unwelcome, create your own community and persevere because you are going to change things. Elizabeth: I’m a Red Sox season ticket holder and I love the game of baseball. I’ve been to baseball games in 27 different MLB parks, and 3 AAA baseball parks. Also, I love Orangetheory Fitness! Base-Push-All Out, that’s good advice. Elizabeth Wright, PhD, is a postdoctoral fellow in the Jablonski laboratory at Pennsylvania State University. Each month, the editors of The American Journal of Human Genetics interview an author of a recently published paper. This month we check in with Alan Beggs to discuss his paper ‘Interpretation of Genomic Sequencing Results in Healthy and Ill Newborns: Results from the BabySeq Project’. Alan: It is well established that genomic sequencing of individuals with a likely genetic disease has clear and recognized benefits that easily outweigh the risks and costs. However, we are just beginning to appreciate the potential benefits and costs of prospectively sequencing healthy individuals. There is a lot of hope around the prospects for disease prediction, presymptomatic diagnosis, carrier detection, pharmacogenomics and other potential benefits of genomic sequencing, and an equal amount of concern around the risks of misuse of genetic information, misinterpretation of probabilistic results or negative personal impacts such as anxiety, increased family stress or loss of trust that such information might engender. The NIH Newborn Sequencing In Genomic medicine and public HealTh (NSIGHT) program was conceived to explore the implications, challenges, and opportunities of genomic sequencing in the newborn period. Together with our colleagues here in Boston, and in Houston, Robert Green and I designed the BabySeq Project to experimentally measure the medical, behavioral, and economic outcomes by prospectively sequencing both healthy and sick newborns and then following the consequences of returning results to them, their physicians and to their medical records. Alan: Although thousands of both healthy and sick individuals have undergone genomic sequencing by now, BabySeq represents one of the first prospective, randomized controlled trials of sequencing for which disease detection was not a primary goal. By enrolling newborn participants regardless of their medical status we can achieve one of the less biased comparisons within a human population. Although our sample size is modest, we were surprised to find in the sequencing arm that 9.4% of the infants, including ten of 127 healthy newborns, harbored what we considered to be a monogenic disease risk alleles, in other words, genetic variants that are predicted to cause disease using current best practices for determining disease-gene association and variant interpretation. Such a high rate of predicted genetic morbidity suggests either that we currently underestimate genetic contributions to common disorders such as heart disease or cancer, or that our variant predictions of pathogenicity or assumed disease gene penetrances are over estimated. I think the randomized controlled aspect of this study is something else that excites me. It is providing an important opportunity for Amy McGuire and her team at Baylor to more rigorously assess the psychological and social implications of having genomic information at an early age. Funding permitting, we aim to follow the BabySeq families in both the sequenced and control arms well beyond the one-year follow-up surveys currently in progress, and I expect that we will be able to provide some hard data to address some of the concerns surrounding potential negative implications of learning genetic information. Alan: This is a difficult question to answer! Of course, just about everyone who has interviewed me has asked whether I think sequencing of newborns will become standard of care. The first point I make is that, for the foreseeable future at least, we absolutely do not view this as a replacement for traditional newborn screening, which targets a carefully chosen group of treatable diseases using tests with well-established and high degrees of sensitivity and specificity. There is no question in my mind that rapid genomic testing is indicated for newborns with undiagnosed medical conditions that may have a genetic basis, and it is gratifying to see that geneticists and neonatologists are rapidly adopting this, and that third part payers are finally starting to come around and reimburse for this. Although I’m confident the data will eventually show that the risks of newborn sequencing in healthy infants are acceptably low, the benefits will be harder to establish and are likely to be uneven: most newborns will not have immediately actionable findings, but identification of carrier states will occasionally lead to identification of couples at-risk for future pregnancies, and presymptomatic diagnosis of even untreatable conditions such as Duchene muscular dystrophy, will help some families avoid having affected children in the future. Occasionally, and with increasing frequency, an early diagnostic finding will lead to potentially life saving interventions or surveillance, as in the case of the families we identified with variants for hereditary cancer syndromes. As our understanding of disease-gene associations and variant interpretation improves, more and more children will stand to benefit from such information. The newborn period is a hectic and disruptive time for new families, so I think genomic sequencing for healthy babies is more likely to be eventually offered in late infancy or early childhood, much like many vaccinations are offered today. Before this happens though, it will be up to us, the professional genetics community, to engage with our colleagues, legislators, third party payers, and most importantly the public, in a discussion to determine when the broader societal benefits justify the risk and the costs, and to ensure that genetic information is protected to avoid misuse and discrimination. Alan: Follow your heart and pursue the questions that excite you, but be mentally flexible and look for opportunities to work with outstanding scientists who will appreciate and support your efforts. Early in my postdoctoral career, my advisor passed away suddenly and I was faced with a career-altering dilemma. I was fortunate to find an outstanding new mentor in Dr. Lou Kunkel, and my career path shifted abruptly to focus on neuromuscular disease, and eventually genetics and genomics of rare diseases. Science, and society, are constantly evolving, so put aside your preconceived notions of what “should” or “will” happen, and follow the data and opportunities wherever they lead. Alan: I like learning about new things, so I tend to be a generalist with broad interests who enjoys tinkering and trying different things. I’m not an expert in any one area, but I’ve dabbled in woodworking, I like repairing broken things, from dishwashers to lawnmowers (YouTube is great for that! ), and I’ve got a killer fish tank at home. I also love to be outdoors, and I’m just as happy raking leaves, cleaning my gutters, or shoveling snow in the middle of the night as I am kayaking or skiing. A longtime ASHG member, Alan Beggs, PhD, is Director of The Manton Center for Orphan Disease Research at Boston Children’s Hospital and the Sir Edwin and Lady Manton Professor of Pediatrics at Harvard Medical School. AJHG: What caused you to start working on this project? Vijay: When exome sequencing was starting to be done routinely around 2009, we reasoned that Diamond-Blackfan anemia would be an ideal disease to study using this approach. At the time, only a few ribosomal protein mutations had been described in this disease and we thought that such sequencing approaches could help us better define the pathogenesis of this disorder. We did identify some non-ribosomal protein mutations through focused efforts (e.g. GATA1), but we kept sequencing more individuals to more comprehensively define the genetic landscape of this blood disorder. This paper describes the comprehensive analysis of the full cohort of individuals we studied. AJHG: What about this paper most excites you? Vijay: There are three things that excite me most about this work. First, this paper is really the culmination of several years of incredibly hard work by a number of talented trainees in our group, as well as fabulous colleagues. It is great to see their work put together and presented so nicely. Second, I think this analysis can serve as a model for other systematic studies in cohorts of individuals with a range of rare diseases. It provides a framework for thinking about how to perform comprehensive analyses in rare disease cohorts, while also illustrating major challenges in trying to define genetic etiologies. Third, I think the work nicely outlines the future directions we hope to take to better define the genetic causes for the remaining ~20% of cases and understand the basis for the variable penetrance observed. Vijay: We have examined a rather large cohort of ~470 individuals with a rare disease that occurs in ~1 in 200,000 live births. This cohort took many years to put together and required extensive international collaborations. Despite the considerable size of this cohort (for a rare disease), we still could not define the potential genetic etiology for a number of individuals in the cohort. Our burden analyses nicely show how we are sufficiently powered to detect mutations in the exome that explain > 5% of cases in the cohort. Given all of this, our findings emphasize the need for larger analyses of such rare diseases. This can only happen through collaboration. Different investigators need to be willing to come together to maximize our ability to identify additional genetic causes for rare diseases. While many in the human genetics community appreciate the importance of such efforts, I still find that many colleagues in my clinical field and others are hesitant to share data. As a physician, I realize that doing so is critical for all patients and individuals affected by rare diseases. Vijay: Probably the most useful advice I can offer is that any trainee should pursue problems and work in environment where they can most enjoy their work. I have been incredibly fortunate to work in environments, both as a trainee and faculty member, where I have been given the freedom to pursue problems I am passionate about. As a result, I have also tried to create an environment in the lab that can enable trainees to do the same, which I believe is very important. Vijay: One of the things I enjoy outside of lab is exploring the fantastic restaurants in Boston and listening to jazz music (particularly when it is live). Vijay Sankaran, MD, PhD, Assistant Professor of Pediatrics at Harvard Medical School and an Attending Physician in Hematology/Oncology at Boston Children’s Hospital and the Dana-Farber Cancer Institute. 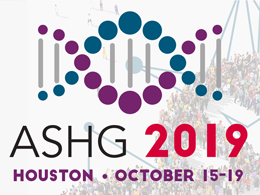 He has been an ASHG member since 2016. The Mill lab (photo courtesy of Dr. Mill). Jonathan: Our lab studies the genomic basis of complex human diseases, and we’re particularly interested in the mechanisms underpinning transcriptional regulation. The last decade has seen tremendous advances in understanding the role of common genetic variation in health and disease, but genome-wide association studies (GWAS) don’t always identify specific causal genes, and we know that the variants associated with disease are likely to influence gene expression rather than causing changes to the transcribed protein. We have been quantifying genetic and epigenetic variation in large numbers of samples and have been thinking about ways of integrating these datasets to fine-map GWAS regions. This project built on our previous work using DNA methylation quantitative trait loci (mQTLs) to interpret the functional consequences of common genetic variation associated with neuropsychiatric disease and other human traits. We generated blood mQTL data in the Understanding Society UK Household Longitudinal Study (UKHLS) and used these to refine genetic association data from publicly available GWAS datasets in order to prioritize genes involved in complex traits and diseases. We also sought to identify pleiotropic relationships between DNA methylation and variable gene expression by using publicly available whole-blood gene expression QTL (eQTL) data. Jonathan: First, we have generated an extensive mQTL dataset, using the new Illumina EPIC DNA methylation array to identify over 12 million associations between genetic variants and DNA methylation sites, including a large number not identified by previous DNA methylation-profiling methods. We show that there are many instances of shared genetic signals on neighboring DNA methylation sites and that these associations are structured around both genes and CpG islands. We hope these will be a valuable resource for the genetics community, and our data can be downloaded from our website. Second, we demonstrate the utility of these data for interpreting the functional consequences of common genetic variation associated with human traits by using summary-data-based Mendelian randomization (SMR) to identify >1500 pleiotropic associations between complex traits and DNA methylation sites. Finally, we use these data to explore the relationship between DNAm and gene expression by using genetic instruments rather than correlations to infer associations between specific DNA methylation sites and genes. Jonathan: Our results add to an increasing body of evidence showing that genetic influences on DNA methylation are widespread across the genome. We show that integrating these relationships with the results from GWAS of complex traits and genetic studies of gene expression can improve our understanding about the interplay between gene regulation and expression and facilitate the prioritization of candidate genes implicated in disease etiology. Jonathan: Most importantly, pick a subject you are passionate about and make sure your science continues to be fun! The biggest and best-funded labs are not necessarily the best places to train; research is all about teamwork and collaboration, and to me, these are key attributes that trainees and young scientists should look for in selecting a place to study and learn. Don’t be afraid to be wrong, and you should never worry about questioning your supervisor or mentor; I have learned so much from the exceptional postdocs and students in my lab who generally know a lot more than I do! Finally, make sure you keep a good work-life balance; it’s important to switch off and realize there is more to life than grant funding and papers. Jonathan: I live in a small fishing village on the Devon coast just outside Exeter in the UK. When I’m not trying to understand gene regulation in the brain, I spend a lot of time in my allotment attempting to grow enormous vegetables. I also cycle a lot, and last year rode to Paris from the UK along with Eilis Hannon (first author on this paper) to raise money for the amazing Alzheimer’s Society who fund our work into dementia. Jonathan Mill, PhD, is a Professor of Epigenetics at the University of Exeter and Psychiatric Epigenetics at Kings College London.